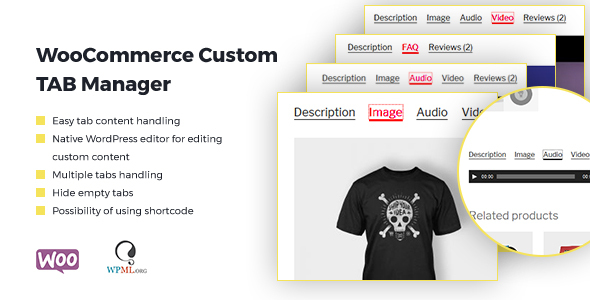 WooCommerce Custom Tab Manager is a extension or add-on plugins to facilitates the add/remove tab in product single page. It is best suited for who want to customize their tab in WooCommerce Shop’s Single Product Page. You can feel awesome with lot of options and features. WooCommerce Custom Tab Manager is built with our own Plugin freamework and uses native WordPress Settings API which is highly secured. We’re committed to future update and best support.